Silver Beach Towers West Bldg. The Silver Beach Towers oceanfront resort is one of those places in Paradise that you never want to leave once you have tasted the luxury it offers. 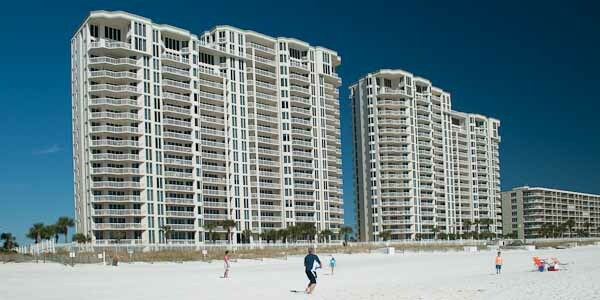 Built in 2004, it presents with two beautiful oceanfront towers and every amenity a perfect vacation resort requires. Silver Beach is in the central part of Destin, with a private and perfect stretch of beach, two beachfront swimming pools with waterfalls that delight, hot tubs, picnic and barbecue grills, fitness center, tennis courts, covered deeded parking, and even complimentary beach chair rentals during the season. Compass Resorts has an on-site rental office, and there is a lobby in both towers to service a vacationer's needs. Eight elevators keep the wait time to a minimum when leaving or going back to your condo. The east tower pool is heated during the cooler months so you can enjoy the luxury year round. The condos come in two, three, four, and five bedroom penthouse marvels. 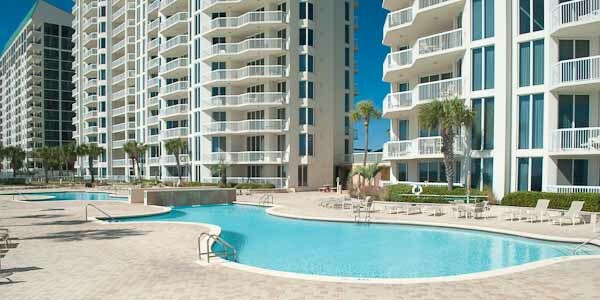 Some units have ten-foot ceilings and views both of the Gulf and down the beach. Prices can range from just under $700,000 to $1.6 million for the penthouses. This magnificent luxury resort is a must see if you want the perfect vacation condominium. The central location also makes it easy to walk or drive to all the shops, attractions, and excellent restaurants that are down the road. Call or contact us to have a Realtor show you what Destin has to offer.